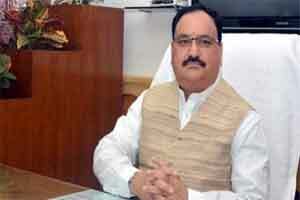 Taking stock of the regional healthcare solutions in the North east, the Union Health Minister JP Nadda, has gone an extra mile in delivering better coordination with centre on healthcare services in the region. The latest statement release in the media has stated the minister to have committed to open the most premier institute of India, All India Institute of Medical Sciences (AIIMS), in the heart of the state of Assam. Once the required plot of land is identified in the state, the procedure for setting up its own AIIMS will start in the North east. While the biggest challenge to improve the healthcare services in the state is better coordination on centre funded projects, there should also be a sense of innovation and dynamism from the state governments to achieve more, implied Mr Nadda in his press statements. The minister also highlighted the grave problem of bringing the Infant Mortality Rate (IMR), Maternal Mortality Rate (MMR) and Total Fertility Rate (TFR) to the national average, in the state.